It is no secret that chicken wings have always been a favourite amongst us Singaporean foodies. Be it deep fried, barbequed or grilled; most of us have a soft spot for this culinary delicacy. Having tasted the different kinds of barbequed chicken wings at the different hawker centres in Singapore, the recent korean chicken wings craze and fried chicken wings, we are on the hunt to find more flavourful chicken wings, which we realize are not that abundant in Singapore. 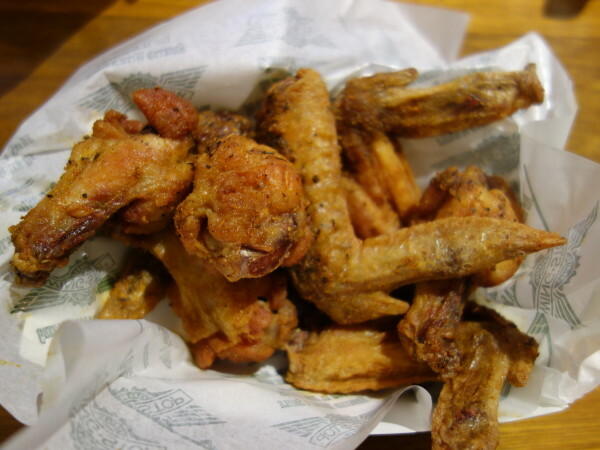 A leading pioneer of the chicken wing industry in the US, Wingstop has flown its way into Singapore since 2013 and has been cooking up a storm right under our noses! With 11 amazing flavours to choose from, it was definitely on our list of must-try chicken wings on our hunt for the most flavourful chicken wings in Singapore. Wingstop first made its mark on our Little Red Dot at Bedok Mall before opening a second outlet at City Square Mall. Listed amongst the top 3 fastest growing restaurants in the US (awarded by Nation’s Restaurant News), Wingstop is a global leader in fast casual dining scene – a refreshing spin to the typical fast food dining experiences we Singaporeans have grown accustomed to. What exactly is fast casual dining, doesn’t it just sound like fast food? We came to understand this concept when we took our first bite – with fast casual dining, the quality of chicken wings served is as good as that of full-service dining because the wings are cooked-to-order. Instead of frying the wings in advance and dishing it out upon order (the fast food concept), fast casual dining also ensures that made-to-order wings are delivered much more quickly than full service dining. Though they take a slightly longer time to prepare (we waited for approximately 10-15 minutes), the piping hot and juicy wings are definitely worth the wait in our opinion. As we heard that Wingstop sauces and tosses the flavours right into the chicken instead of dipping, we were very excited to try out the variety of flavours available. Out of all the 11 flavours, we managed to try 7 of them. We will highly recommend you to visit Wingstop with your friends, the more the merrier as more flavours can be shared. 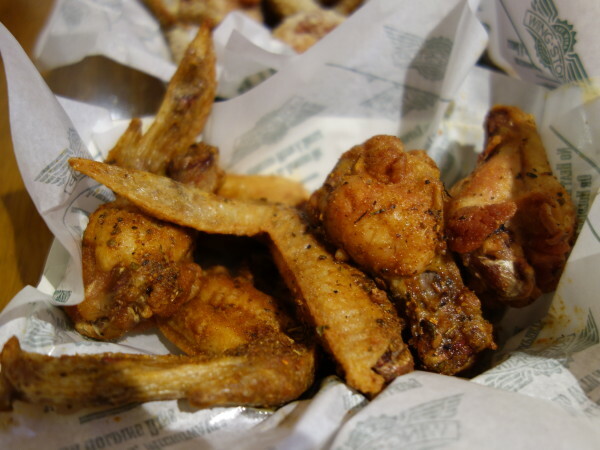 First up, the flavour currently reigning #1 amongst Wingstop lovers in the US – The Louisiana Rub. A dry rub of cayenne pepper and garlic spices enhances the crispiness of the chicken and creates an addictive flavour that left us begging for more. Next up, we have the flavour reigning supreme here in Singapore – The Mango Habanero. Who would have thought that the sweetness of a mango could go so well with something as fiery as habanero, one of the hottest chili peppers in the world? The fiery habanero hit us after the initial sweet tang, which is something very interesting due to the mix of both sweet and spicy. The boneless wings (actually chunks of boneless thigh meat) were generously coated with this tangy sauce, and this was our favourite among the 7 flavours that we tried. Naturally, this robust flavour is a hit with wing lovers who are into sweet ‘n’ spicy flavours! 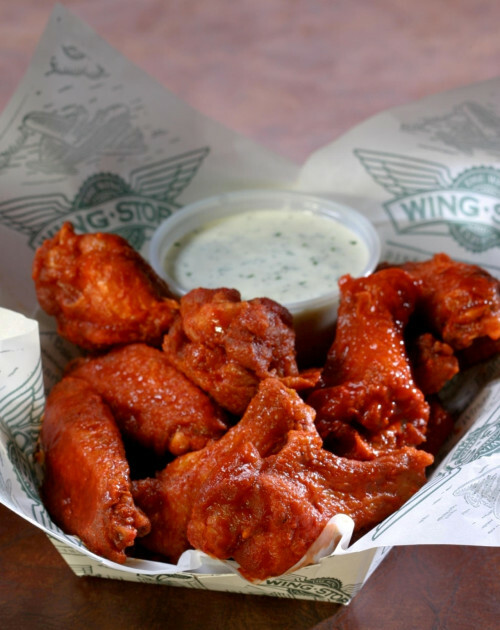 The original buffalo wings – Original Hot, was what made Wingstop a celebrity back in the US. With a vinegar twist, this Original Hot has an extra edge to the spice, which was not overwhelming at all. In fact, it subtly layers the flavour and draws out the natural fragrance of the chicken. If you are looking for a truly authentic American experience, the original buffalo wings are the way to go. A word of caution, this flavour is definitely not for the faint-hearted. 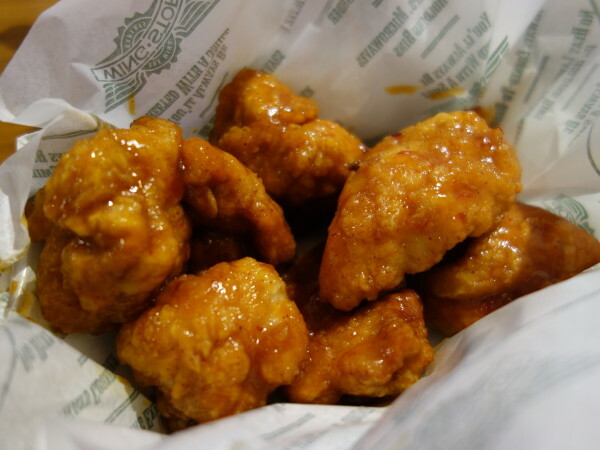 The famous Atomic is the spiciest flavour Wingstop offers, a typical person is said to be able to eat up to 3 pieces. Sadly, we only managed to survive 1 piece. While the initial bite is mildly spicy, it takes about 3 seconds before the actual kick comes in, it left us speechless for a good 5 minutes. While this may not be for everyone, one thing’s for sure; those who love it, LOVE it and keep coming back for more. If you are a daredevil, this will definitely make your list of the gutsiest dares to try! Of course, for all chicken wings lovers who prefer the non-spicy option, Wingstop has not forgotten about you! The Garlic Parmesan combines a garlicy and cheesy flavour with a natural nutty fragrance surprisingly well blended together. This is certainly a highly recommended option for diners who are unable to take spicy food. Young children will take a strong liking to this, especially the boneless option, which is much easier to munch on. Another flavor for those who simply aren’t keen on burning your taste buds – don’t miss out on the Hickory Smoked BBQ. The barbeque sauce, made according to Wingstop’s special recipe, is very aromatic and tastes just as good as it smells. It is perfect for #WingBringers to bring to your gatherings and for young eaters who cannot handle spicy flavours. However, we personally prefer the spicy flavours as they have the kick, which we initially set out to look for. Lemon Pepper, another one of the top-sellers, has won the hearts of many and started an intense #CrayCrave. A lemony zest combined with a peppery after-taste, this flavour nicely complements the classic fragrance of deep-fried wings. The reason for its popularity is, perhaps, due to the refreshing change it brings with this exciting new flavour. 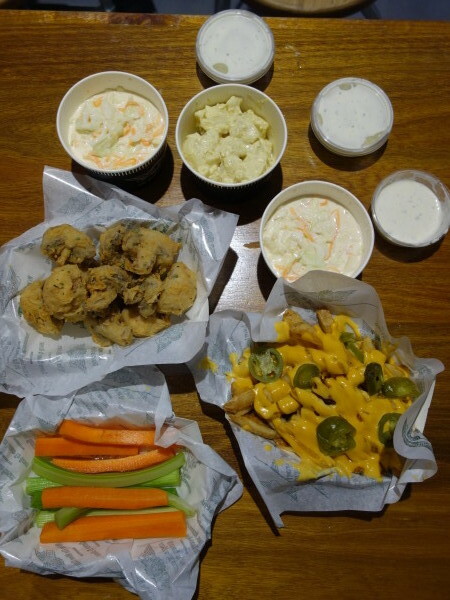 #WingstopSG offers an all-day combo meal, where a plate of wings (any 2 flavours), complete with a drink and a side of fries and dip is available at $9.95! You can choose your chicken to be served as wings, boneless or tenders for each flavour, depending on your preference. 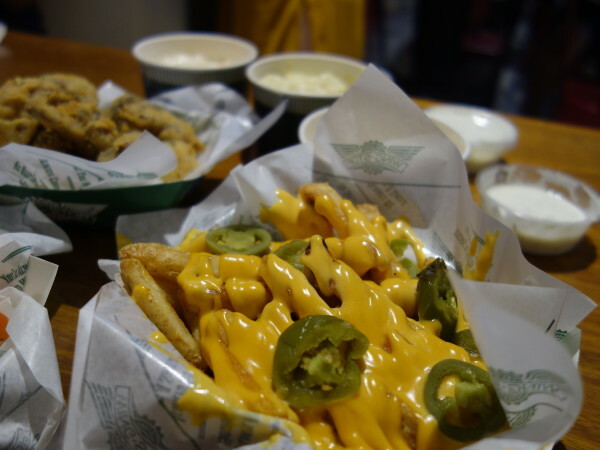 Besides the main dishes, Wingstop serves some amazing side dishes that left us wanting for more. 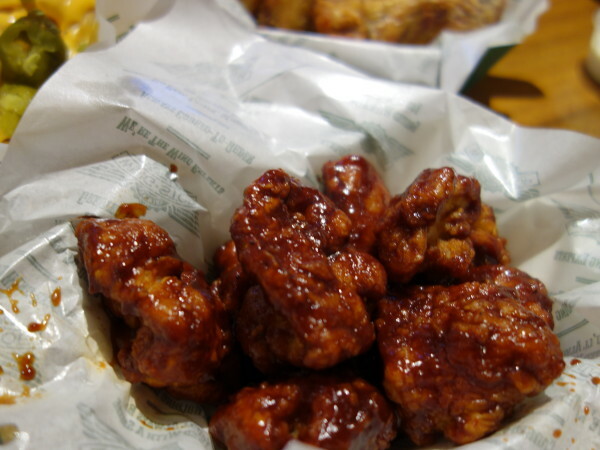 You can consider trying one of the delicious sides that Wingstop has to offer to whet your appetite; these bite sized teasers ensure that you have something to munch on as your wings are being prepared. 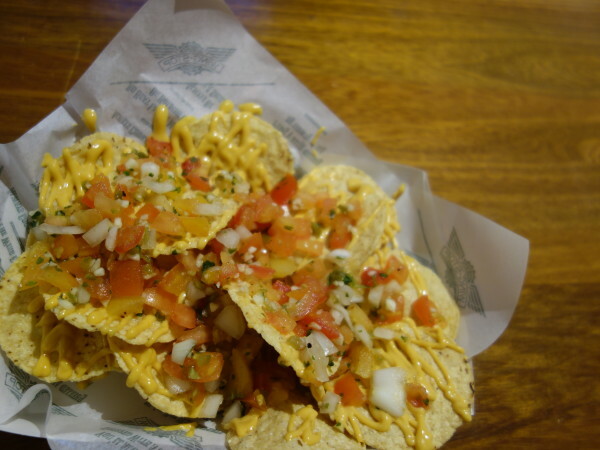 Extremely cheesy and flavourful, the salsa adds a refreshing quality that removes any dryness that leaves you wanting more. 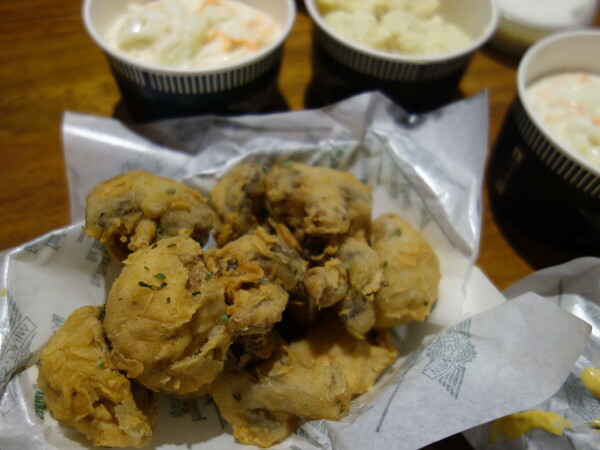 The ever-so-popular mushroom fritters were sold out on the first day that they were launched in the Wingstop outlets in Singapore. This humble plate of deep-fried white, fresh mushrooms stole our hearts with its fragrant batter that coated it evenly. The added crunch is infused with a burst of delectable mushroom flavour with every bite and leaves a delicious after-taste. The chucky fries were served with a hearty helping of cheese sauce. Currently number 1 in popularity of the sides menu, these fries are not as cloying as typical french fries, which strikes a good balance with its cheesy flavour. The Potato Salad (S$2.50/ $3.50) was not too creamy and served in sizable chunks that had the sauce accompanying each bite. The Coleslaw (S$2.50/ $3.50) was not too milky or sour, which made it very palatable and refreshing to taste. Of course, if you are feeling sinful from all the food, have a bite of the Crisp Vegetable Sticks (S$2.50), which taste great with their dips. 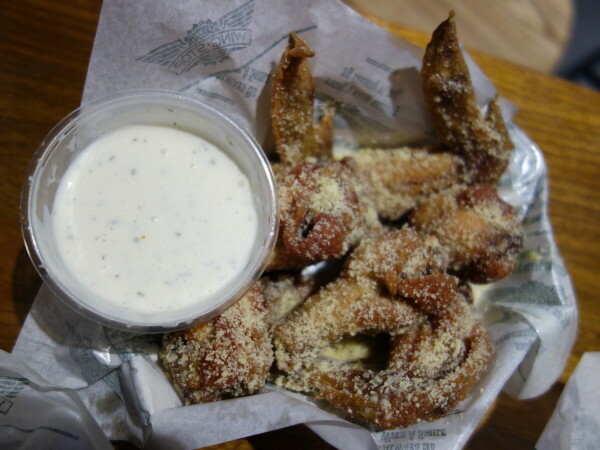 For non-vege lovers, perhaps dipping them into Wingstop’s homemade dipping sauces could change your mind! Take your pick from a whole range including Ranch, Spicy Ranch, Honey Mustard and Cheese (S$0.85/ $1.20 per dip). Wingstop can be suitable for any occasion, whether you are having a #WingFling (perhaps a ‘spicy’ date with your significant other) or an intimate get-together, there is something for every chicken lover. 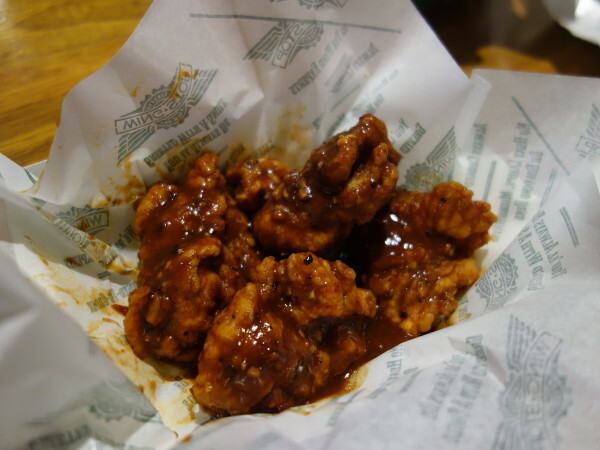 What’s more, Wingstop is doing regular #WingDrops (Sweepstakes award on Wingstop Singapore’s Facebook page). To find out more, check out Wingstop Singapore and you can stand a chance to win free chicken wings to share with your colleagues, friends and family! Whether or not you are a fan of chicken wings, Wingstop has something for everyone and not to mention, 11 delicious flavours to choose from. We certainly found what we were looking for on this hunt, especially with the unique fast casual dining experience at Wingstop. So what are you waiting for? Join the #WingNation today, #WingstopisLife. This post was brought to you by Wingstop.